Mori-Kawa Samuraï Warrior Armor with coat of arms (Hira-Gaku) from Mori-Kawa. Coat of arms (Hira-Gaku) square laid flat. Family of Daimyo (Fudai-Daimyo), native of Owari, residence of Na-go-ya. 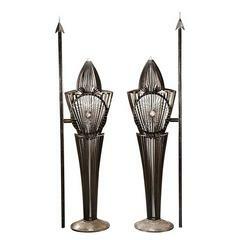 With handcrafted chain mail protections. Under showcase. Edo period (1604-1868). Exceptional and rare piece. Armor: L70xP51xH160cm. Glass showcase: L80xP60xH230cm. 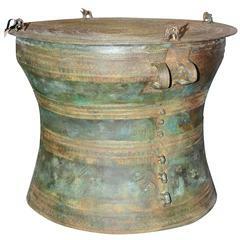 Rain drum in solid bronze, exceptional piece from Cambodia temples, 1930. 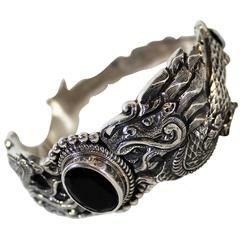 Nepalese sterling silver and onyx dragon bracelet. 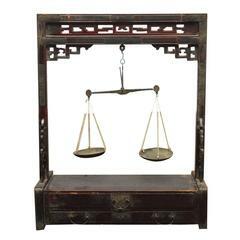 Weight: 90 grams.